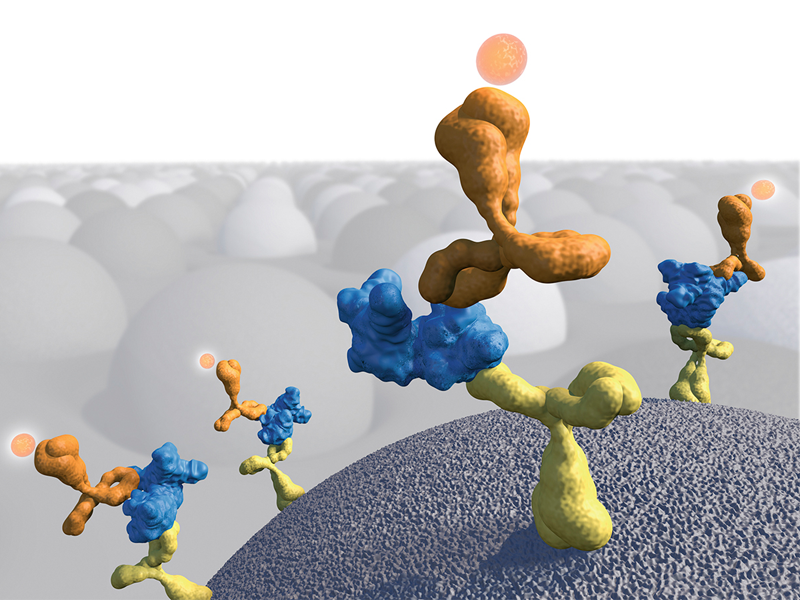 The LUNARIS™ Platform builds on the simple idea to immobilize beads coated with different highly specific antibodies onto a solid-surface array, such that detection signals are easily read and mapped. 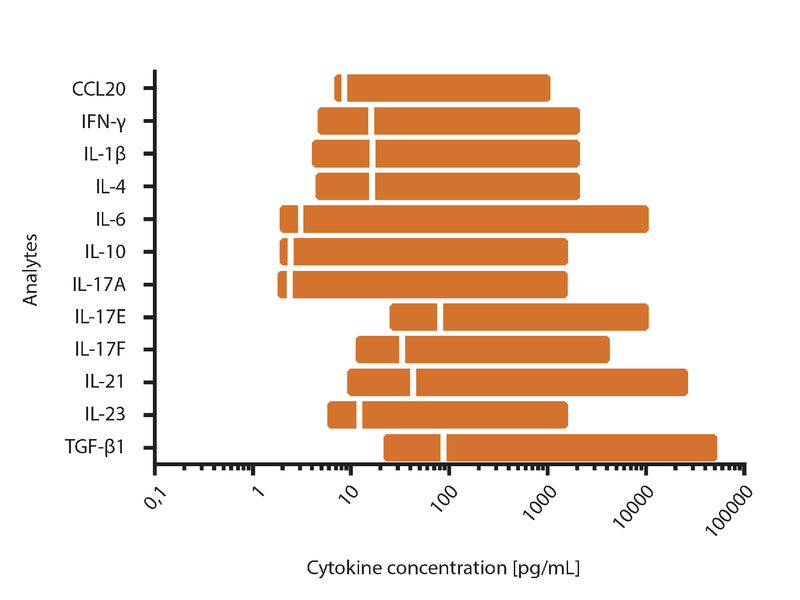 This elegant setup translates to high-quality data on multiple proteins in the same small-volume sample, and enables fully scalable quantitative validation of biomarkers for translational research. ELISAs are today’s standard for protein detection – quantitative and specific, they are foundational in protein research. LUNARIS™ Technology merges the benefits of ELISA with advantages of solid-surface chemistry to deliver highly sensitive and simultaneous quantification of multiple proteins in a single, small-volume sample. LUNARIS™ BioChips are robust, precision devices designed to serve the experiment setup needs of researchers in academic, industry, and clinical settings. The modular assembly of BioChips on a LUNARIS™ BaseFrame allows flexible sample throughput in standard MTP format for an efficient use of resources and samples. LUNARIS™ BioChips, BaseFrame, and Lid are produced under strict German manufacturing standards for optimal performance and durability. The elegant simplicity of the LUNARIS™ Technology results in superior data quality by design. To begin, the assay affords unmatched analyte detection sensitivity and broad multiplexing capacity. The readout is image-based, providing a direct one-to-one link between analyte presence and recorded signal. Finally, the data analysis is designed to preserve that information transparency from signal detection and recorded data point to results evaluation. The outcome is exceptional data quality that meets international regulatory standards, and facilitates the transfer of research findings to clinical applications.